Use a reliable torque wrench to tighten the parts listed, to insure proper tightness without straining or distorting parts. 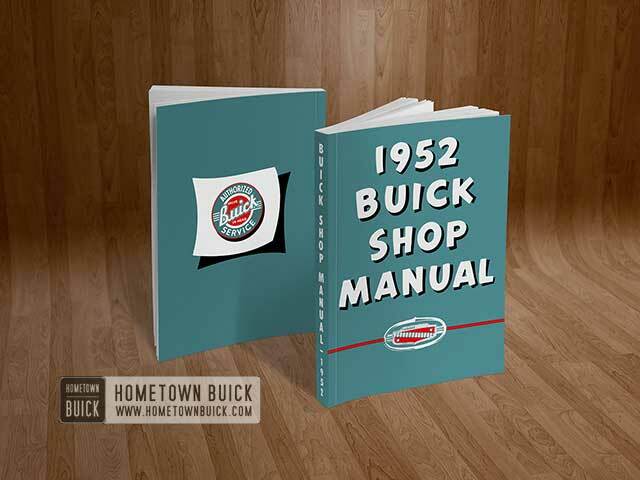 These 1952 Buick engine specifications are for clean and lightly lubricated threads only; dry or dirty threads produce increased friction which prevents accurate measurement of tightness. NOTE: Dimensions and limits for fit of parts apply to new parts only. Where limits are given, “T” means tight and “L” means loose. 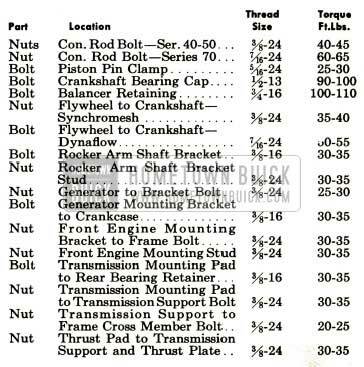 NOTE: Does not apply to engines equipped with hydraulic valve lifters.